Well, it has been a couple of years since my original article, My IT Career – coming around full circle, so I figured it was time for an update (especially since I’ve added a couple of new badges since then). What appears below is the original article, reworked a little, and updated so it is current…at least as of today (06/01/2018). Who knows what will happen tomorrow. Let the whole sordid tale begin. While still in college I started a part-time IT gig with General Dynamics, which turned into a full time position once I graduated in 1989. Only a couple of years into that job, and General Dynamics decides to outsource their entire IT organization to a company called Computer Sciences Corporation (CSC). New badge, same job really. Over the next few years, the General Dynamics business that we supported, changed hands a few times. First to Hughes Electronics Corporation and then to Raytheon. My job at CSC also took me from Southern California to Tucson, Arizona. This lasted a few more years, until my boss asked me if I wanted to move to San Diego, California to help out on a new account. I probably said yes before he finished his sentence. At the end of 2006, CSC had lost the County of San Diego contract to Northrop Grumman (NG). CSC’s staff was divided among NG and an IT consulting firm, BearingPoint. We didn’t get to choose, other than to accept the offer or not. So, another new badge. I guess it was time for a new picture anyway. Just a couple of years in working for BearingPoint, they decided to sell the majority of their public services consulting business to Deloitte. Except our little piece supporting the County of San Diego was spun off to a new consulting firm, Éclat Consulting (no link for them since they folded some time ago. Here’s what the name means though). Éclat didn’t last too long, and we were shuffled to another new consulting firm, Attain. Still supporting the County of San Diego, just changing badges like bad fashion trends. NG decided to walk away from the County of San Diego contract before their time was up, and passed it on to Hewlett Packard (HP). This time, everyone (that wanted to stay) was moved to HP (yet another new badge). All one big happy family again. At least for a couple of years. Late into the year 2015, HP announced that it was going to split into two companies. HP would be handling consumer computers and printers, and Hewlett Packard Enterprise (HPE) would be handling enterprise products and services. The change this time for us from HP to HPE wasn’t too disruptive, and we didn’t even get new badges! Well, we did get a new overlay that got glued to the face of the badge, with the new company name (same old photo though). The stability of being at HPE would only last until May of 2016, when HPE announced that it would be spinning off the enterprise services component to a new company. This new company would be a merger of sorts between HPE and CSC. This merged company would now be known as DXC Technology and it entered the world to much fanfare and business gibberish in May of 2017. This was going to be a great collaboration between two large IT firms that would take on the world… Until a few months later when it was deemed important to narrow their focus a bit and shed some of the newly acquired divisions. Yes, you guessed it, my job is once again up on the auction block. For the remainder of 2017 and a couple of months into 2018, we didn’t really have any information about what was happening with our company. Nothing like uncertainty to really boost morale. Much speculation was made as to who would takeover this chunk of business, which is the U.S. Public Sector portion of DXC Technology’s holdings (state and local governments, and such). We received word about our fate in March or so, but had to keep it quiet. On June 1, 2018, it was finally made public that we would be part of a three company spin-merge based upon DXC Technology’s U.S. Public Sector business, Vencore Holding Corp., and KeyPoint Government Solutions. Each of the three companies operates in different areas, so little to no overlap, thus creating a new company of about 14,000. 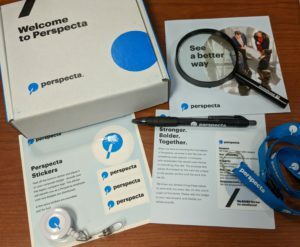 This new company would be known as Perspecta. It is getting close to the end of the first day as a Perspecta employee, so I think I’ll publish this entry before I have to add any more company names. One thing left to do is to crack open the swag box and put the new company sticker over the old logo on my badge. This is really starting to feel like license plate registration renewal stickers. I wonder if I’ll get new stickers next year? So, yesterday (5/24/2016) the company I work for (HPE) made an announcement that they would be merging with another big IT services company early next year (see this article). I had a big chuckle about it. 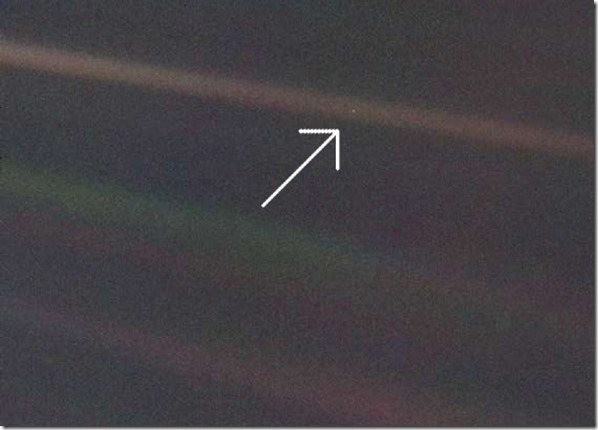 If you want to understand why, just try to follow along…I dare you. The stability of being at HPE would only last until May of the following year, when HPE announced that it would be spinning off the enterprise services component to a new company. This new company would be a merger of sorts between HPE and CSC (see the article at the very beginning of this post). This merger is supposed to be completed early in 2017.
p.s. – I’m glad I wrote this post because I was getting a bit fuzzy on the details. It might come in handy if I need to update my resume. Although, I might have to create a chart of some kind as well. One of my all time favorite quotes, from an outstanding book that I believe everyone on this planet should read.